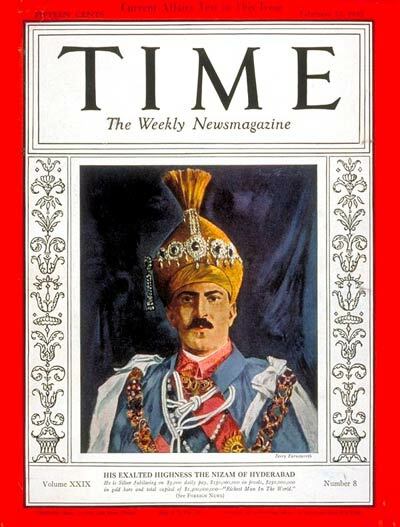 Osman Ali Khan was portrayed on the cover of TIME magazine on 22 February 1937, described as the world’s richest man. In 1937, his assets were worth twice the entire budget of (British) India. Readers of this website may be aware that TIME magazine covers closely correspond with Illuminati agenda for the given time period. It is no surprising that Hyderabad State was at the forefront of Illuminati intrigue in 1937.